TechTablets › Forums › Teclast Forums › Teclast F6 Pro › What watt USB Type C charger for F6 Pro? This topic contains 45 replies, has 16 voices, and was last updated by Wizzard 9 hours, 59 minutes ago. Do you think that this would work? I just ordered it. It should support 12V/2A charging. Ideally you’d want a charger with a “PD” or Power Delivery port, but yes, this one should work since it supports QC at 12v 2a. I hope so. I never knew what exactly PD means. It seems that PD is only supported on USB C port chargers while QC is present on chargers with USB A port. I prefer USB A to C cables, that is why I chose this one. The USB design is sort-of flawed in that it can’t handle lots of current on small connectors like Micro and USB-C, because of the small surface contact of the connector pins. So by increasing the voltage, the transfer of power becomes more efficient and less of an electrical short or heat risk. So Qualcomm’s Quick Charge (QC) and the ‘generic’ Fast Charge unlicensed alternative, are technologies that allow more power than 5v (0.5-2a) from a standard USB cable/connector. QC power adapters start at 5v and then, when the device sends a ‘request signal’, can increase the output voltage to the requested 9v or 12v. The latest QC profiles can actually go all the way up to 20v, which is super-efficient on short cable runs, but it’s hard to find a QC v4 power adapter. Anyway it’s not so much of a problem, because all QC profiles are backwards-compatible. Mediatek and other non-Qualcomm chips use ‘Pump Express’ and generic ‘Fast Charge’ brandings, but they actually operate in the exact same way, and you can use the same types of chargers on all devices to achieve a faster charge. USB PD works in the same way as QC, and they’re almost (but not quite) the same thing. Unlike QC which goes up to 18w maximum power, PD can actually scale up to 100w of power at 20v. USB-C cables have small ‘pull-up resistors’ in them, and will effectively limit the current to the maximum rated by the manufacturer of the cable. If you get a cheap cable, it should be limited to lower current compared to a thick, high quality and expensive cable. 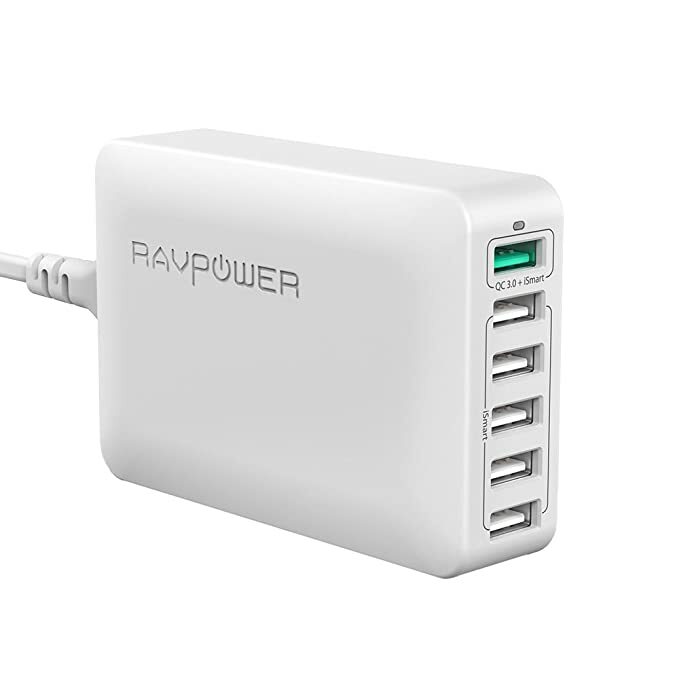 All USB PD ports are USB-C only, and chargers will only output more than 18w of power on a PD port. Hopefully this all makes sense? So your laptop will be able to scale up to 12v at 2a of power, which is actually the same rating as its original power brick. But even if it’s “stuck” at 5v 2a, it’ll get 10w of power which is more than enough to power the laptop and (slowly) charge it. Thank you very much for the detailed explanation. For me, 12V at 2A is pretty enough, cause I only wanted to have one charger for all my devices including phones and tablets. I have multiple usb QC charger that doesn’t work with the teclast. I also have the charger of Lenovo yogabook and same way don’t works. It simply doesn’t get the 12v rail from them. If normal USB Type A doesn’t work, you can just stick to one PD charger for your phone or tablet aswell (if they have USB Type C). I can charge all my devices (Laptop, Phone, Power Bank, Earpods) with one charger and one cable like that and you can connect each device with each other because both sides are the same Type C port. Does your chargers support 12V / 2A output? Let’s just clarify something, once and for all. If your USB-A port charger supports Quick Charge or “fast charging” at 12v, then YES, as you can see, it will work. However, as I have already noted, you may ONLY fall back to 5v 2a dependent on the chip in the charger and the USB cable you use. Nonetheless, you will always get power and charge. Have you enabled Thunderbolt in the BIOS? Did not know it was necessary to enable. I enabled it now for USB but it does not seem to help. Tried another USB C cable and it still does not charge. Should I use special QuickCharge cable? Okay, I bought another USB C cable marked as QuickCharge and it does not charge.